It’s beginning to feel a lot like Christmas. Carols are playing everywhere and the store displays have turned magical (and increasingly high-tech over the years!). This rum & raisin truffle is an idea I had in the summer, but I had to wait until it was cool enough that they wouldn’t melt in my hands as I formed them. Turns out that white chocolate reacts quite differently to dark chocolate, and it took me a few tries to get the consistency right. I’m not usually a huge fan of white chocolate, but it’s my first Christmas in a cold climate (think equator, and Southern Hemisphere) and I realized that they are perfect when it’s cold out and you really need something sweet and rich! 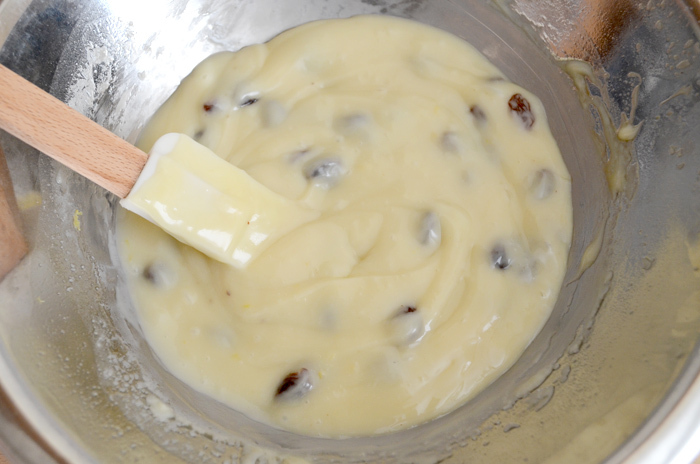 Raisins and butter are a great combo, and if you like rum & raisin ice cream I think you’ll enjoy these. 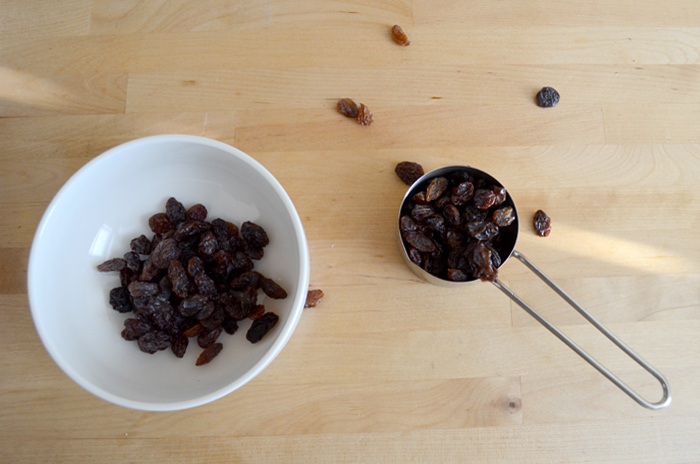 Weigh out the raisins and soak them in 2 teaspoons of the rum and leave overnight, if possible. If not just let them soak while you prepare the chocolate. 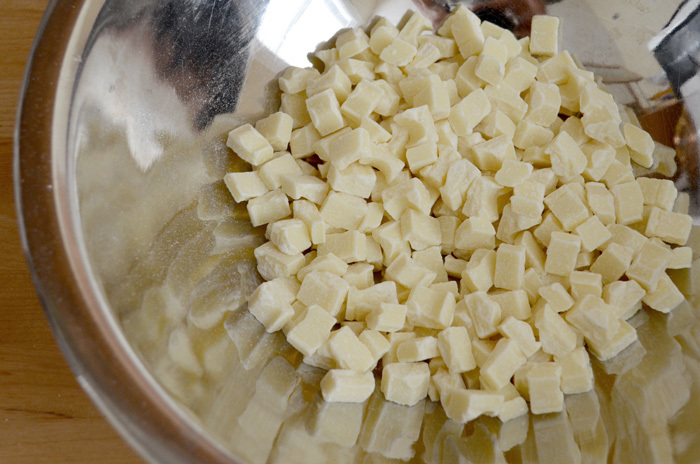 Weigh out the white chocolate chunks and place them in a bowl that will work later as a double boiler. 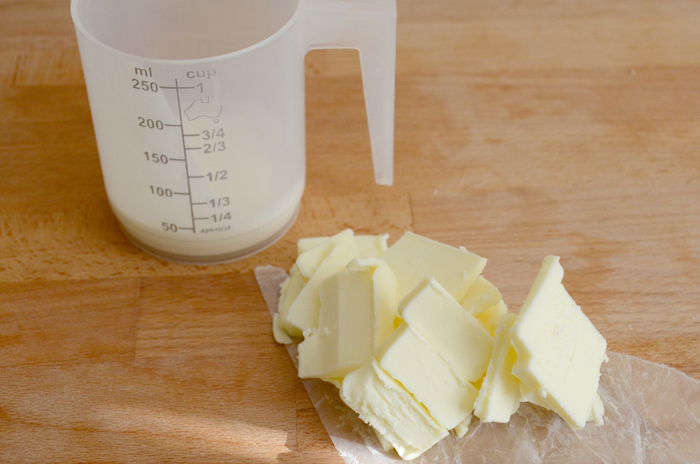 Heat the cream and butter in a saucepan, stirring constantly and keeping a close eye on it. Once you see small bubbles on the edges and the cream just reaches the boil, remove from the heat and pour over the chocolate chunks. 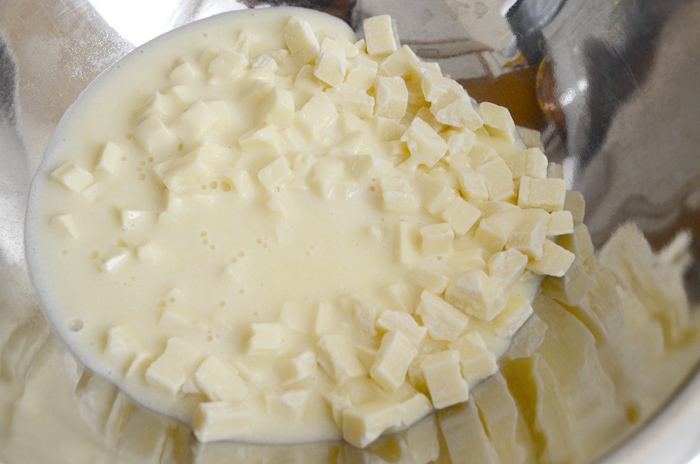 Stir the white chocolate and cream mixture. 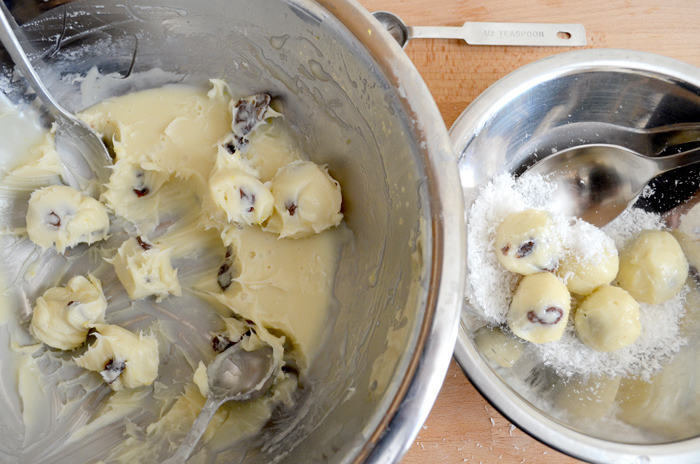 If the white chocolate hasn’t melted completely, place the bowl over a double boiler and melt until smooth(I usually wash the saucepan I used for the cream and heat an inch of water in there to make a quick double boiler). 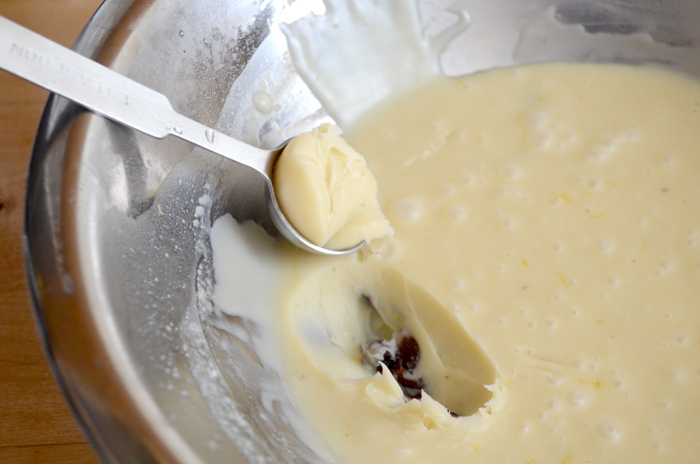 Once smooth, remove from the heat and add raisins with any remaining rum, 2 teaspoons of fresh rum, vanilla, salt and a few scrapes of the microplane of lemon rind. Try a bit to see how much lemon you like, but I wanted the rum & raisin to be the hero so I just added a tiny bit to balance the sweetness. 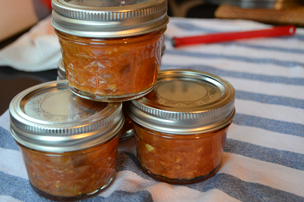 Mix well to combine and chill in the fridge for 3-4 hours or until solid enough to roll. This is the mixture after about 4 hours. You’ll want to work quickly with it as it will still melt in your hands. A melon baller or a measuring spoon with a spherical shape will be handy for getting uniform size and shaped truffles. To reduce the amount of times I had to wash my hands (which was still quite a few, as I was shooting as I went along), I set up two bowls with coconut in them. Create rough balls of a similar size using the measuring spoon/melon baller and a teaspoon, which I roll in my hands and drop into the first bowl of coconut. 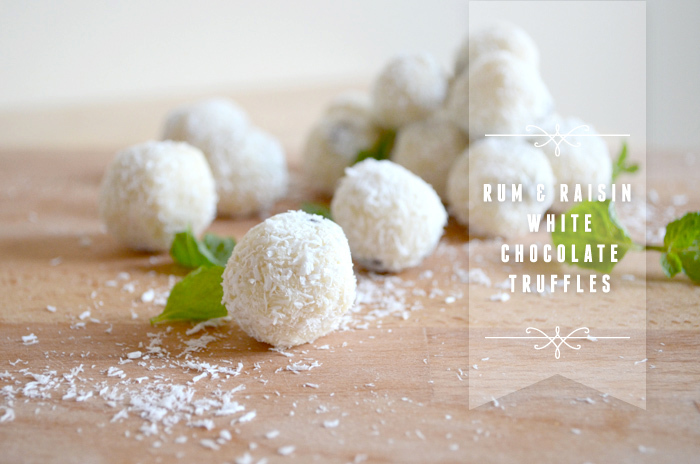 The truffles don’t have to be perfect in the first rolling—it’s more important to make sure there are no spaces and to work quickly. 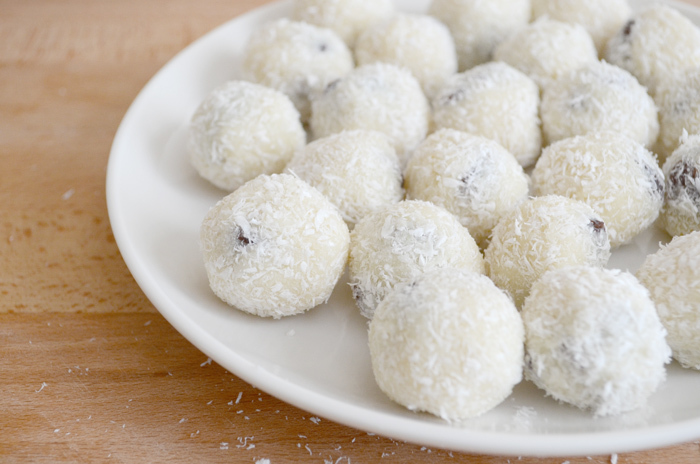 Once the bowl starts to get full, coat the truffles roughly with coconut using a larger spoon and drop them into the second bowl. 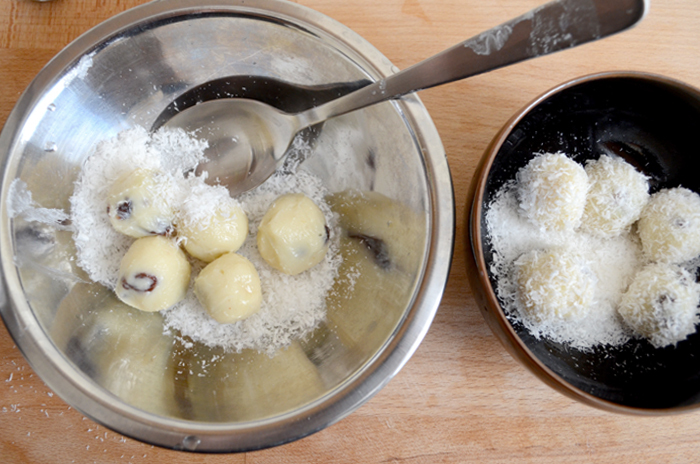 The final process is taking the truffles out of the second bowl with clean hands and rolling them into a nice shape, and effectively pressing the coconut into the chocolate mixture to get a smooth finish. It will make sense when you try it —by the time the truffles are in the second bowl, they won’t stick and you’ll be able to work with them much easier. Once you’re done rolling them, chill them again in the fridge to firm up. 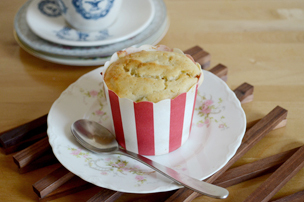 These are quite sweet so I made them on the smaller side, this recipe yielded about two dozen truffles for me, but you could double the recipe if you want to give them away. 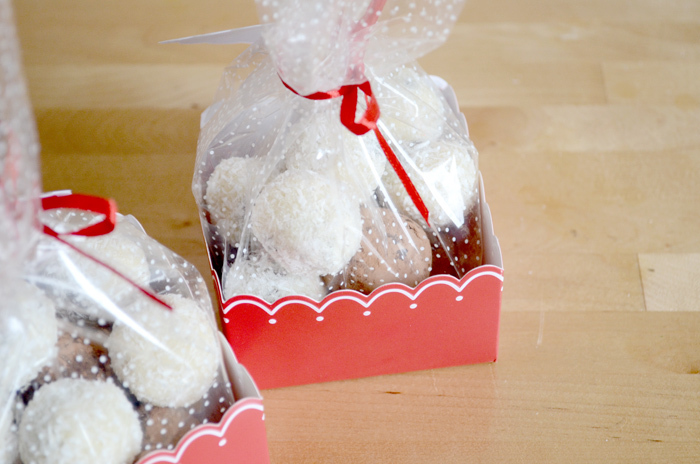 I packaged these with dark chocolate & orange truffles as a little Christmas gift. Packaging is by Martha Stewart.